If you ask yourself this question, let all of us at Love on a Leash congratulate you: you are already taking a huge step towards being a good dog owner! If you care enough to worry about making mistakes, then you are on the road to doing the right thing. It shows that you really care about raising your new family member in the right way. The more you know about your puppy, the better you will be able to deal with any situation that comes your way. And the better behaved pooch you will have down the road. Beginning the potty training in the home. Many dog owners start potty training their puppies in the home using pads and newspapers. This is sometimes necessary while the pup is still too young to go outside, but if at all possible, all bathroom training should be done outdoors rather than anywhere inside your home. Why? Because your puppy will not carry the training information outdoors into a new environment. 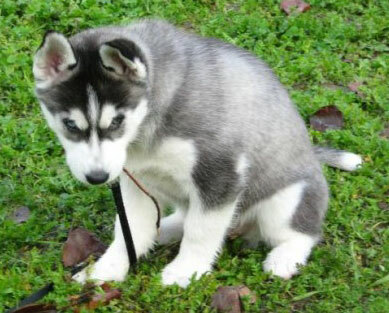 Many pet owners assume that once their puppy grows up he will begin to go outside on his own. This is NOT the case! If you teach your dog to go inside the house, he will go inside the house -- and more than likely, all over your house -- forever! Train your puppy to go outdoors where you will expect him to go when he’s older, and he will learn faster and easier. You might have heard about crate training. This is a very humane, safe, and effective way to train your dog and reduce potty accidents. Dogs do not like to potty inside their personal space which is what a crate represents to them: a safe haven, that is all their own. Remember that a dog who has been taught to use the indoors as his bathroom will be socially unacceptable in other people’s homes and probably won’t be much fun to live with, either. Letting your puppy do things you won’t want him to do as an adult. This one can be hard to do because puppies are so adorable. Anything they do is cute, from biting your hand or pant leg to pouncing on people. But think it through: an adult dog biting and pouncing on people is not fun, especially if it’s a large breed. This is often the result when dogs are allowed to display unwanted behaviors when they are puppies. No matter how cute their gnawing on your finger may be, you need to step back and tell your pup “no.” If you don’t want your dog to sleep on your bed, sit on the furniture or bark at passing cars, don’t let him do it when he’s little. Your puppy will carry into adulthood everything you teach him now, so make sure you set clear boundaries. Changing your puppy's food the day you get him home. Many new puppy owners experience dismay when their puppy displays signs of sickness on their first days home. More often than not, the puppy is feeling sick because it was fed a new food. If you want to avoid this mistake, ask the previous owner of your puppy what kind of food he is feeding the puppy, and make sure to have the same kind of food on hand at least for the first while. If you want to switch your puppy’s food to something else, you will need to do so gradually or your puppy may feel sick, will likely throw up or end up with a nasty case of diarrhea which is no fun for anyone. To change the brand of dog food your puppy (or adult dog) eats, first feed him only the old food. Then begin mixing more and more of the new food in with the old food until only the new food is left. If your dog does get diarrhea that does not clear up after a few days, change the food again as no dog, either puppy or adult, should have runny stool ever. It is a clear indication that what you are feeding is not agreeing with their digestive system. In the end, just remember: you can’t be prepared for everything, however knowing the biggest blunders pet owners make is the best way to avoid them. Keep asking questions, and keep being a great dog owner. 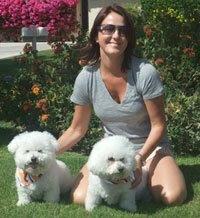 We at Love on a Leash Trusted Dog Care have years of experience as dog owners and have taken many classes in canine psychology, dog behavior and training, as well as canine nutrition and canine first aid. We strive to help our clients ensure their dogs are happy and healthy not only in our care, but when they return home to you, too! Dogs and People: What is the Age Comparison?